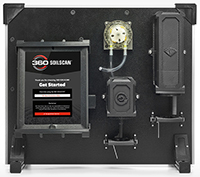 360 SOILSCAN is a portable soil testing system that gives you the ability to sense the signals your farm is sending. 360 SOILSCAN provides you with zone-specific soil nitrate analysis results right in your field in as little as 5 minutes, with accuracy that’s comparable to commercial lab results. 360 COMMANDER™ gives you accurate, agronomic recommendations, so you can make more informed decisions to help improve your yield, from variable seed and nitrogen rates to irrigation management plans. 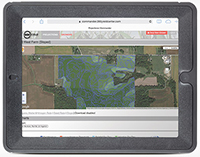 360 COMMANDER generates optimized, actionable seed, nitrogen and irrigation recommendations based on real-time information. 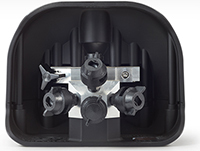 360 UNDERCOVER™ has multidirectional spray nozzles that glide under the crop canopy to help you protect crops from late-season disease and insect infestations. It’s a new fungicide, insecticide and nutrient application solution to help increase product efficacy and improve crop health. 360 Y-DROP™ gives you more control over when and where you apply nitrogen to your crops— now even up to tassel. And since corn uses 75 percent of nitrogen after the V10 stage1, a late-season nitrogen application can help you improve yield in ways you haven’t been able to before.